Talking with Manuel J. Matos and finding about this great work that Adelina Moura his doing with her studentes, using weblogs and wikis in her classes of 2º ciclo (10º, 11º e 12º). Going to pick up my kids. 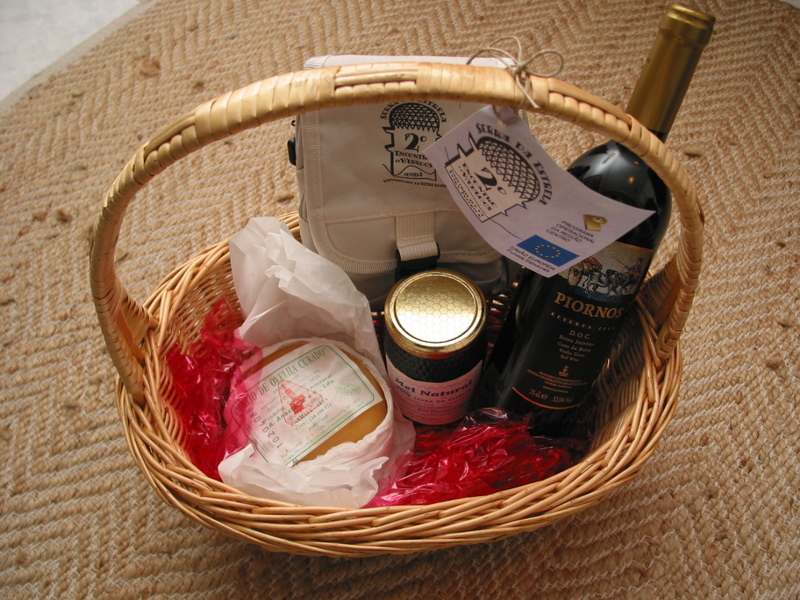 Like the rest of the participants, i've received my basket with Queijo da Serra, red wine and honey (see Ricardo's picture of the basket). Time to enjoy it enjoy it over dinner. Thanks a bunch for you notes Monica! Bev, hope this shows enough to make a serious case for hosting BlogHer in Portugal. We really need it! Well, well! It takes a long time to go over all the notes about the meeting (and to get all the new RSS subscriptions together, too). Hey women, lets get started PLANNING BLOGHER Portugal! I'm all in! Let's set a date and make it happen!